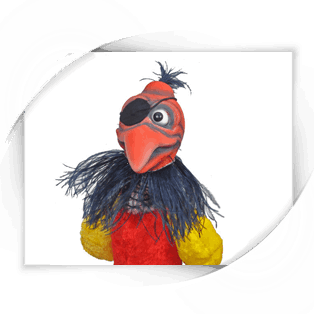 Pirate bird puppet. 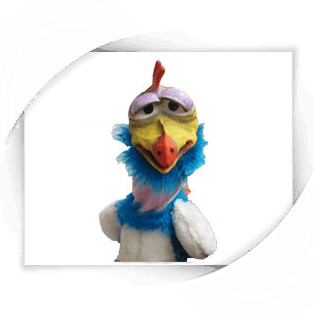 This puppet has a latex head, and combination of fur and feathers. 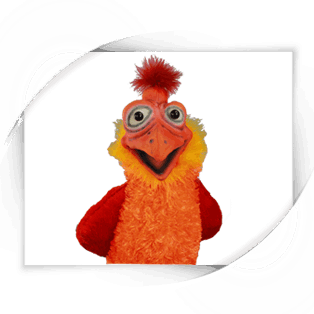 We can further customize this puppet. The patch can easily be removed for the bird to be used for other themes, bird’s mouth is lined with fabric to absorb hand sweat, back of the head contains a customizable cushion that allows you to adjust your hand grip. 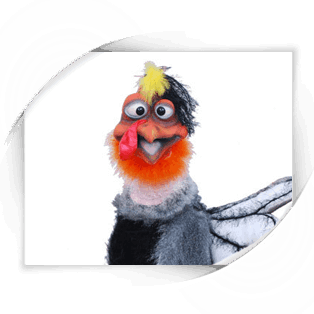 Pirate bird puppet works great for all holiday shows. Put the patches , it’s Halloween. Put a Santa hat on, it’s Christmas. Put bunny ears on, it’s Easter… The possibilities are endless!! !